Few in attendance at the groundbreaking ceremonies three and half years ago could have imagined how Springfield’s South End would be transformed by MGM Springfield. 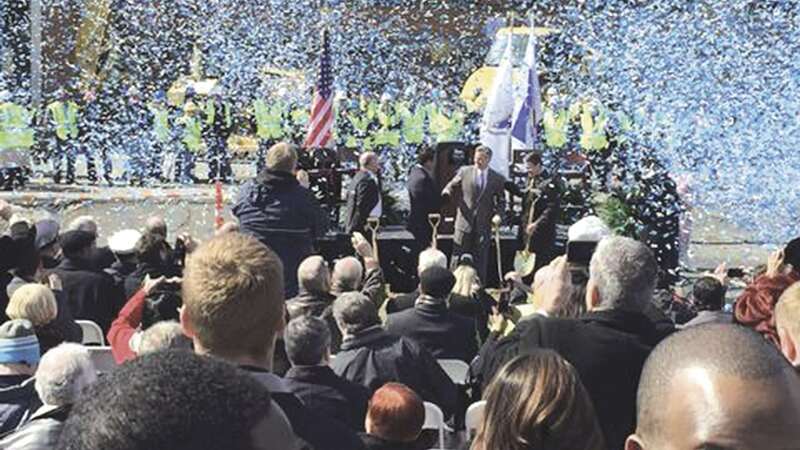 Back about 1,300 days or so ago, several hundred business and civic leaders and other dignitaries gathered in bright sunshine in Springfield’s South End to witness the official ground-breaking ceremonies for MGM Springfield. Those in attendance that day would probably struggle now to remember what that area looked like back then. Maybe not. The former Zanetti School and the old correctional facility (known as the ‘alcohol jail’ to many) on Howard Street were considerable landmarks, and it’s not difficult to conjure up remembrances of them and other structures now gone. More to the point, it was virtually impossible for anyone there that day to stretch their imagination and conceive of the complex that occupies that site now. We had all seen the renderings, but back on that warm spring day, those architect’s drawings were a long, long way from reality. 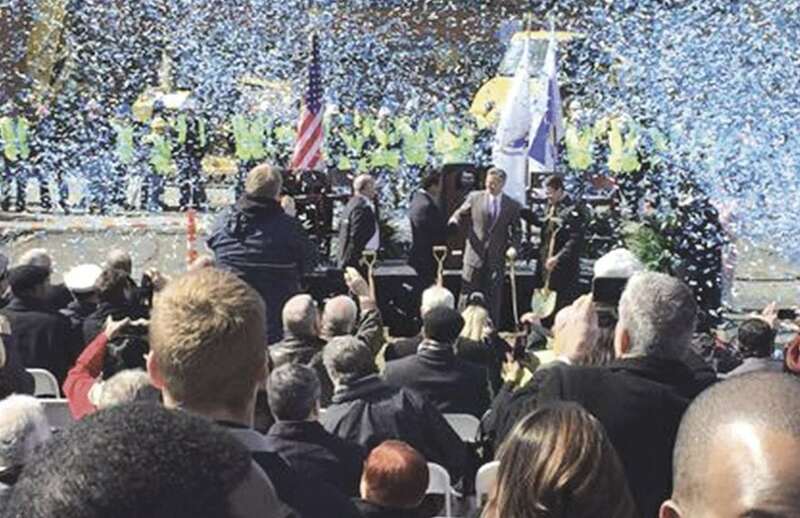 Indeed, even though the journey began well before that day, those groundbreaking ceremonies marked the official moment, for most of us, anyway, when the $960 million MGM Springfield project became real. And even then, it didn’t actually seem real. This was (and is) Springfield after all, and in the minds of many, something this big, something this grand, something this potentially life-altering, just wasn’t going to happen here. MGM was going to change its mind. The Legislature was going to screw things up. Something bad was going to happen. The city hasn’t really seen anything like this probably since George Washington picked that acreage on the hill above downtown as the site of the young nation’s first arsenal — what became the Springfield Armory. But here we are, 1,300 or so days later. It is real, and is happening, even if for some it seems surreal. That phrase ‘history-making’ is overused these days, to the point where it doesn’t mean much anymore. The talking heads at ESPN use it almost every night to refer to some relief pitcher, hockey goalie, or field goal kicker achieving some obscure statistical milestone. But with MGM Springfield, it fits. The city hasn’t really seen anything like this probably since George Washington picked that acreage on the hill above downtown as the site of the young nation’s first arsenal — what became the Springfield Armory. The armory, as most know, changed the course of this city and this region in all kinds of ways. The innovation and craftsmanship that marked the Armory’s early days — and all its days, for that matter — sparked waves of related businesses and an entire business sector — precision manufacturing. Meanwhile, the solid jobs available at the Armory spurred wealth and the construction of the large, beautiful homes that gave the city its nickname. What kind of chapter in the city’s history will MGM author? We really don’t know. No one does. Back 30 years or so ago, the good people of Atlantic City hailed the gambling palaces being built there then as a renaissance, a rebirth for a city that had fallen on some very hard times. We all know how that turned out. MGM Springfield is opening at a time when competition for the gambling dollar has never been stiffer, and the pace of competition will only accelerate as states and regions look to cash in on what appears to be a sure thing. Only … there is no such thing, as anyone who gambles can surely tell you. And while MGM Springfield is many things to many people, it is, overall, a gamble, and people shouldn’t ever forget that. And when you gamble, you can win, you can lose, and you can break even. A lot can happen over the next few years or the next few decades, but we choose to believe that the city and this region will see this gamble pay off. It will pay off in jobs, in vibrancy, in a trickle-down effect to other businesses in many sectors, and above all, in making this city relevant again, something it really hasn’t been for a long time. Remember, before that ground-breaking ceremony, there hadn’t been a significant private-sector development in downtown Springfield in almost 30 years. Not every development will be positive; some businesses will definitely be hurt by the arrival of MGM, and there will be more traffic and hassles getting in and out of the city. And there is the very real possibility that many of those coming to visit MGM will get back in their cars, buses, and limos at the end of the stay and get right back on I-91 north or south and leave Springfield behind. But for city leaders, the state, the Gaming Commission, this region as a whole, and especially MGM, this was a gamble well worth taking. In the end, we don’t believe anyone will regret putting their chips on Springfield and letting it ride. Those are the kinds of words that can certainly come back to haunt someone, but we don’t believe they will. This is, as they say in this business, a solid bet — for MGM and this region. George O’Brien is the editor of BusinessWest.